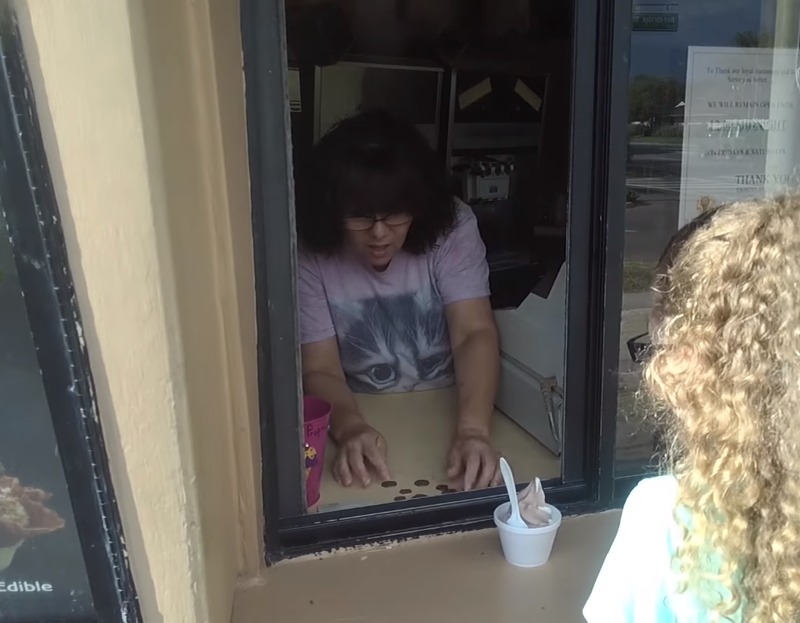 In this viral video, created by the YouTuber OmarGosh, the kindness of random cashiers is put to the test. 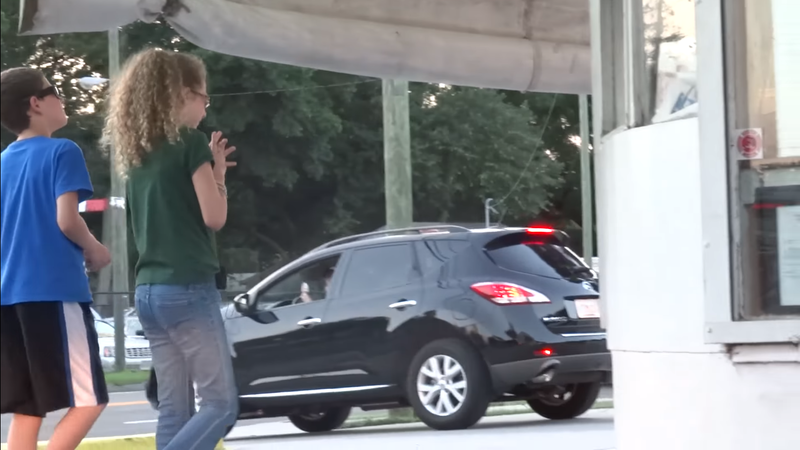 And he teams up with his two children for this viral social experiment. In the video, the children try buying things from various stores— but they always tell the cashier they’re short on money. If the cashier refuses their purchase, the interaction ends. 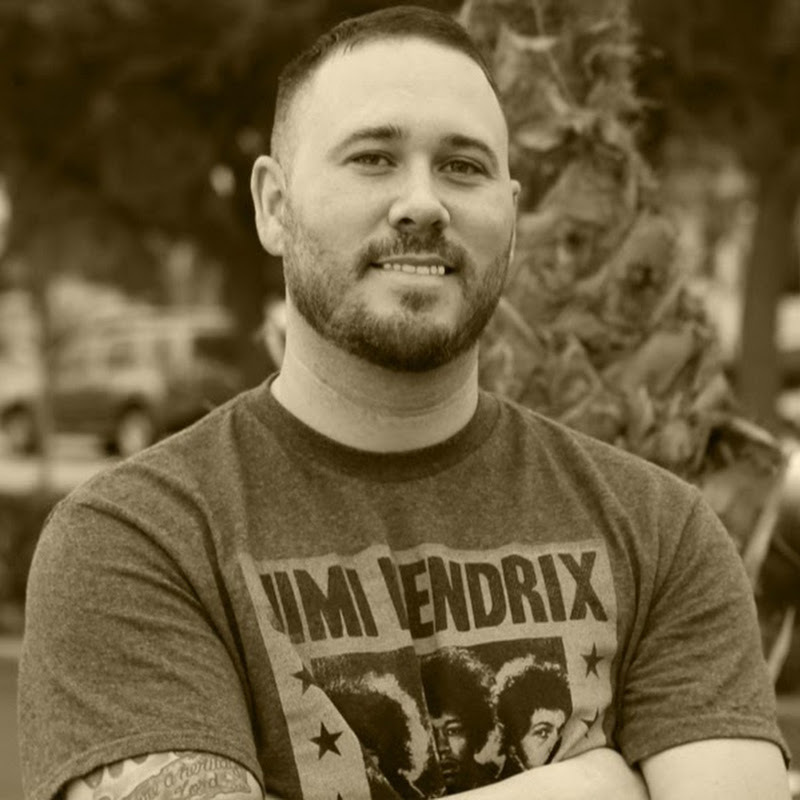 If the clerk decides to help, however, they’re rewarded in an amazing way. At the first stop, the kids ask to order a shake. 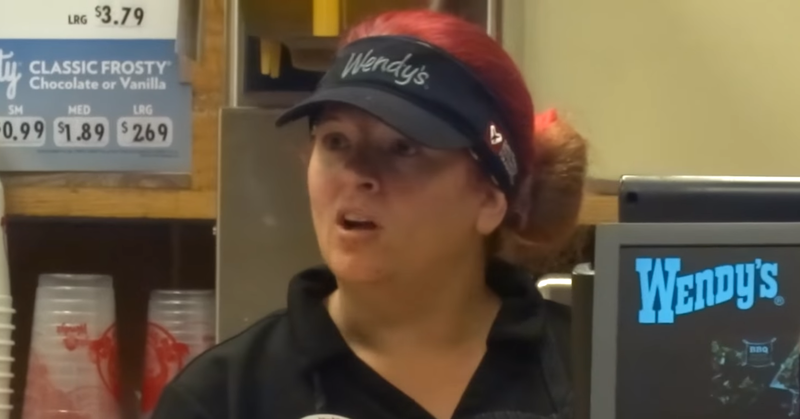 A female employee starts to prepare it, but when the man hears they don’t have enough money he immediately tells her to stop. 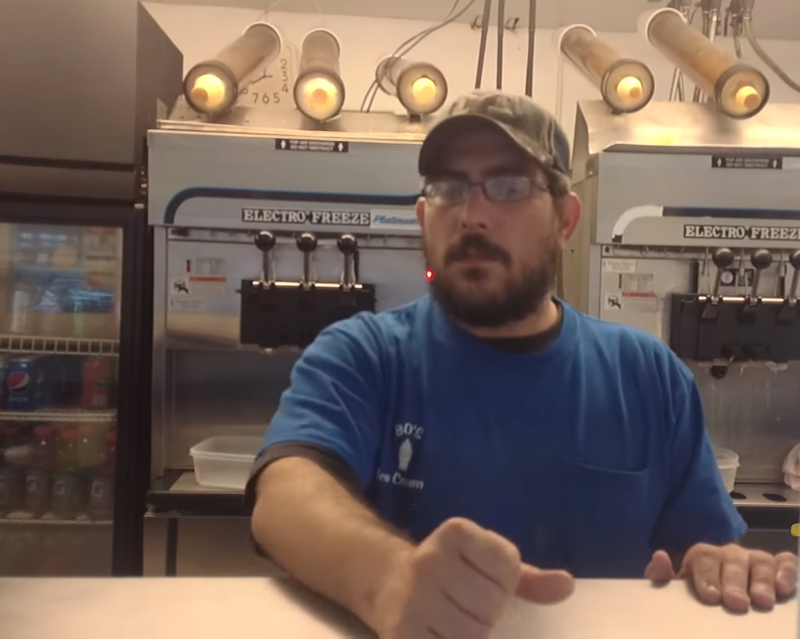 “It’s $3.65 for a shake,” he tells them abrasively. And with that, the children leave. At their next stop, the lady is more kind. The kids order what looks like some type of ice cream or frozen yogurt. When the woman goes to collect their cash, the young girl asks, “Is this enough?” and drops her money on the counter. The money is (obviously) not enough. But, when the cashier realizes they don’t have the extra fifty cents, she simply says: “Okay. Go ahead, here.” After the woman gives them their purchase, the scene changes and you see the kids return. 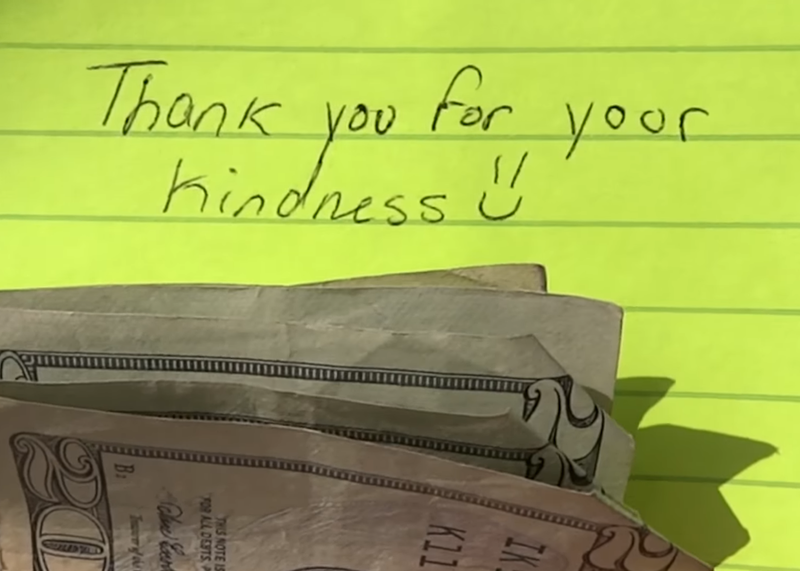 They hand the cashier a note that reads: “Thank you for your kindness”— and folded inside the paper is $100 in cash. The woman is completely stunned. “Oh no, no, no, I can’t take all this money,” she tells them. But after the kids insist, she finally relents and thanks them. 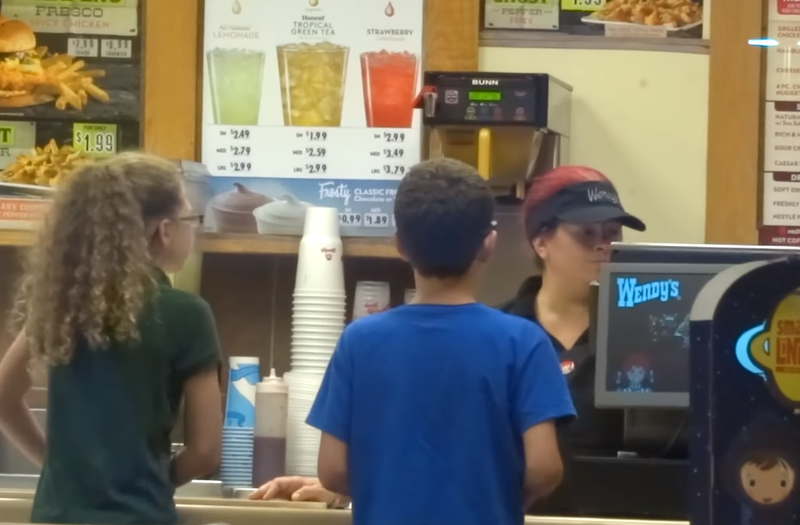 The kids’ last stop is a local Wendy’s, where they once again try to order an item without enough cash. The total comes to $2.02, and the boy asks, “Is it okay if I can do $1.00?” The cashier doesn’t say a word, but she proceeds to hit cash register buttons with a serious face. Then a few seconds later, she hands the boy what he had ordered. Once again, the children re-approach the kind cashier with a note and gift in hand. 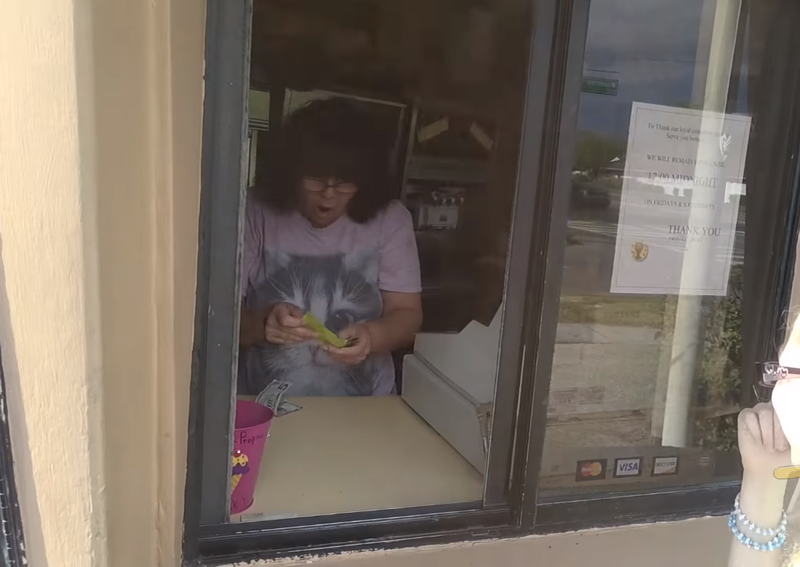 When the woman opens the note and sees a $100 bill inside, she doesn’t believe it’s real. “Are you serious?” she asks the children, her face showcasing wide eyes. “You’re going to make me cry,” she says before coming ’round the counter to give them both a hug. Omar’s heartwarming experiment has been viewed 12 million times. Have you ever been in a situation where you were a bit short at the register? If so, let us know what happened in the comments! 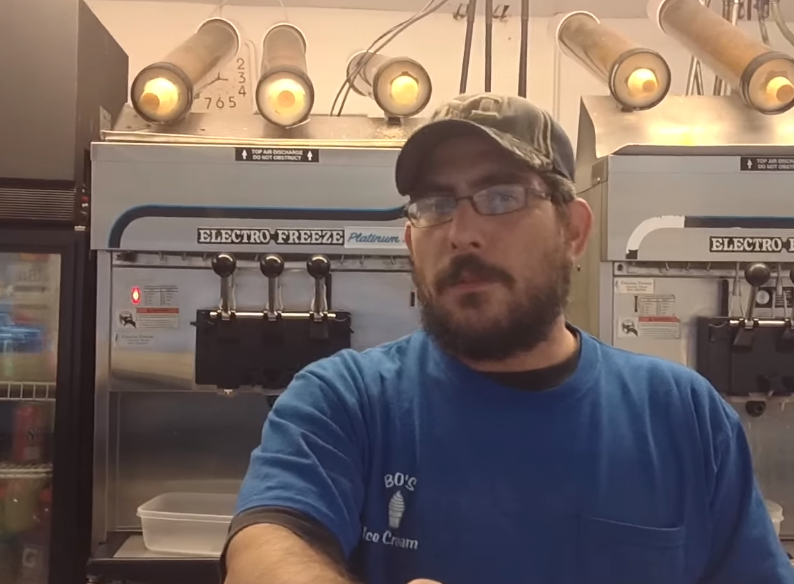 See Omar’s emotional experiment below!